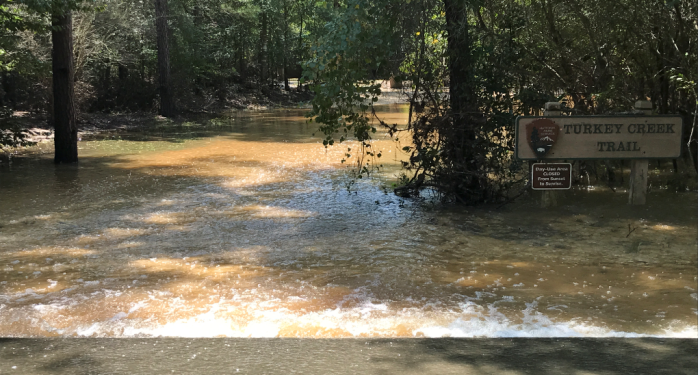 As our neighbors throughout Southeast Texas continue to cope with the impacts of Hurricane Harvey, we would like to provide an update on the status of Big Thicket National Preserve. Since Wednesday, August 30th, preserve staff have been working to account for employees, stabilize structures, and survey the conditions of all facilities. Widespread and persistent flooding has hampered work in many of the preserve’s southern units, especially in the Beaumont Unit and the Pine Island Bayou Corridor Unit. On Saturday, September 2nd, Big Thicket National Preserve staff was joined by an eleven-person Intermountain Region Incident Management Team, a group of Department of the Interior and National Park Service employees from across the country, here to assist in damage assessment and incident response. With their assistance park staff is working to survey all park trails and day-use-areas. If you come across a "Trail Closed" sign, please do not enter the trail. Many bridges, boardwalks, and trail surfaces have been significantly impacted by the storm. On Tuesday, September 5th, at 9 am, the preserve visitor center will reopen to the public. We will begin distributing Hunting Permits for the 2017-18 hunting season at that time. All hunters desiring a permit to hunt in the preserve are reminded that they must come to the visitor center in-person with their valid Texas State hunting license. At this time, visitors should consider all access points and day-use areas managed by the preserve along the Neches River to be closed. Floodwaters have carried in debris, compromised banks, and created unsafe conditions along all creeks, rivers, and waterways throughout the region. Due to high flood waters, increased flow, and strong currents we discourage visitors from attempting to paddle or motorboat any waterway in the preserve. For general information about Big Thicket National Preserve, visit www.nps.gov/bith or call the preserve visitor center at 409-951-6700. Visit us on Facebook, Twitter , and Instagram . 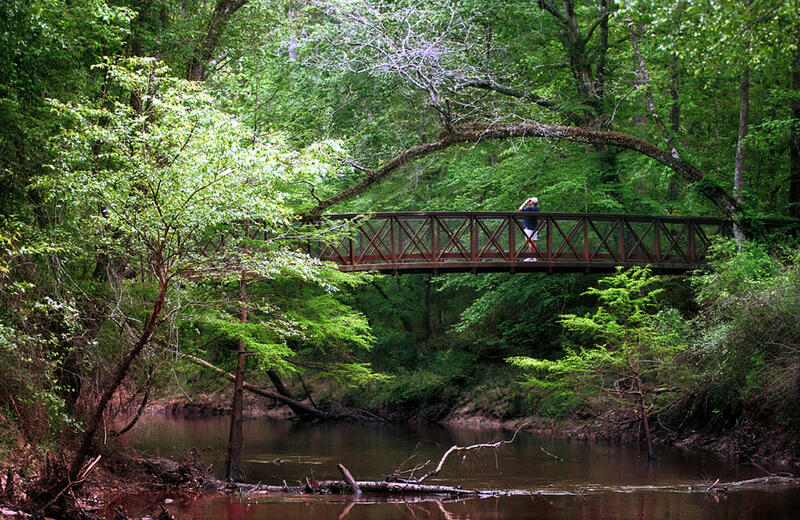 The National Park Service is dedicated to conservation of the Big Thicket National Preserve. Located just north of Beaumont, Texas the Preserve consists of nine land units and six water corridors encompassing more than 112,000 acres. The Big Thicket, often referred to as a “biological crossroads,” is a transition zone between four distinct vegetation types – the moist eastern hardwood forest, the southwestern desert, the southeastern swamp, and the central prairies. Species from all of these different vegetation types come together in the Thicket, exhibiting a variety of vegetation and wildlife that has received national interest. For general information about Big Thicket National Preserve, visit www.nps.gov/bith or call the preserve visitor center at (409) 951-6700.